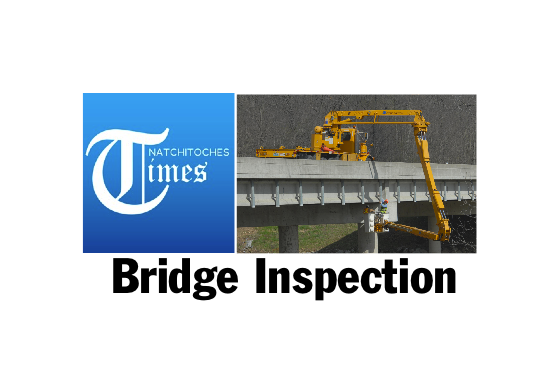 The Louisiana Department of Transportation and Development (DOTD), advises the public that bridge number 118-02-0566-1 on LA 119 over Bayou Pierre will be reduced to one lane for bridge inspection from 9 a.m. -3 p.m. Monday, March 5. No detour will be needed for this work. Flagmen will control traffic through this work site. Previous articleCHARLES J. (CHUCK) POEHL JR.